 Industrial Clutch Parts Ltd. distribute WPT Low Inertia Clutches, suited for high cycle applications or general brake duties. Time tested and used extensively throughout the Steel, Metal Forming and Marine Industries. WPT Low Inertia Heavy Duty Clutches have been designed to be mounted on an end-shaft, typically on a flywheel. It is a pneumatically applied and spring released clutch, designed for high energy and high cycle applications, or general brake duties requiring end shaft mounting. WPT Low Intertia Clutches are ideal for use in a wide variety of applications across many industries such as oil & gas, grinding mills, metal & steel forming, and marine markets. The Low Inertia Clutch has the ability to engage and disengage quickly in an air pressure design. Suitable for controlled slipping and high cycle operations, ideal for unique and demanding braking. The heavy duty clutch provides increased accuracy for your application with little part movement during start and stop, requiring minimal adjustment after installation. WPT Low Inertia Clutches are available in sizes ranging from 4” to 60” in 1, 2, 3, or 4 plate configurations. Manufactured to maximise airflow and optimise heat transfer. WPT Low Inertia Clutches lead to more cycles per minute and extend operating life for more reliable and efficient performances.